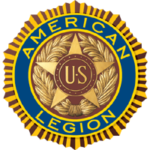 Since 1919, the American Legion stands for: Defense, Veterans, Youth, and Patriotism. To be eligible to join The American Legion, a man or woman must have served at least one day of active duty in one of the armed forces of the United States during one of the eligibility eras below. Persian Gulf – August 2, 1990 to the date of cessation of hostilities as determined by the Government of the United States (This means that all military personnel now on active duty are eligible for membership in The American Legion). Current and past members of the National Guard and Reserve may also be eligible for membership provided that they had periods of at least four months of duration for training in one or another of the aforementioned eligibility eras. Annual summer camps and weekend drills do not constitute eligible periods of service. Active duty is the key to Legion membership. A person need not have served overseas to be eligible, but must possess an Honorable Discharge with a form DD-214. Active Duty personnel are welcome to join. Post 291 will pay your first year’s membership dues, but you are responsible for yearly dues thereafter. If you want to purchase a gate card for our parking lot, the cost is $25.00, and a Post 291 cover is $65.00. In addition to our Membership Application, a copy of your military Active Duty ID is also required. If you had active duty during one or more of the war eras above, this is what you need to do to join the American Legion Newport Harbor Post 291. Completed application form click here. Copy of your DD-214. If you do not have it, click here to order your DD-214 online. You need the DD-214 prior to applying. Fees are $205 for new members, $165 for transfers, $130 for renewals, and reinstate $250.